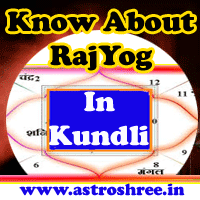 Analysis of Horoscope/kundli/birth chart, Predictions based on planetary positions in horoscope. If no way is seen, if mind is in the state of dilemma, if decision power is getting low, if loss is occurring continuously, if you are facing problem in choosing subject, if you are facing problem in choosing career then astrology counselling may help you better. An experienced astrologer can tell about possibilities in life, the time to get opportunities in life after analysing the horoscope. An good astrologer can reveal you about the planetary reasons of your problems and sufferings in life. An fortune teller can tell about the good and bad period of life. Jyotish can clear the best Gems stone for your better life. An astrologer can tell you about the best puja, best daan to remove hurdles of life. Astrology counselling can help you to balance your life by using the best astrology ways and spiritual practices. A person can take decision by consulting an astrologer. Astrology is not a siddhi or magical power but is a "science of planets" , here impacts of planets are studied by making birth chart/kundli/horoscope of a person by using the birth details of a person. If any one don't have the birth details then the use of 'palmistry' is used and with this 'Prashn kundli' is also helpful to know the reasons of sufferings. Astrology counselling is good if anyone is facing problems in marital life. Astrology counselling is good if anyone is suffering from health problems for long time and doctors are unable to find the reasons. It is also very helpful for the students who are going to choose the subjects to make career. It is also helpful for the people who are already in job and want to switch or want to enhance there career. No one can ignore destiny and it is behind our most of the happenings in life. It is a fact that it is not possible to change the destiny but by knowing about it we can make our-self prepared about the coming time. Here astrologer can help you. Astrology counselling can help you to develop strategy for your life, it will help to decide what to do and what to not for a better future. Astrology counselling through horoscope or birth chart or kundli is the best way to know about the hidden energy affecting our life. Astrologer ASTROSHREE(Shri Om Prakash, www.astroshree.in) is one of the best astrologer on line who is providing astrology consultancy for the years and people are continuously taking benefit of his knowledge and experiences from all around the world. He himself check every case and then provide predictions and remedies for any problems. The method of astrology counselling is via email and phone. How to reduce RISK through astrology? Astrology Counselling On line for success, Analysis of Horoscope/kundli/birth chart, Predictions based on planetary positions in horoscope.